There are dozens of hiking trails winding along the river, each offering a unique view of the Blyde region. One the best day hikes is the Leopard Trail which takes you to the Three Rondavels. These are massive, round rocks, thought to be reminiscent of the huts of the indigenous people. 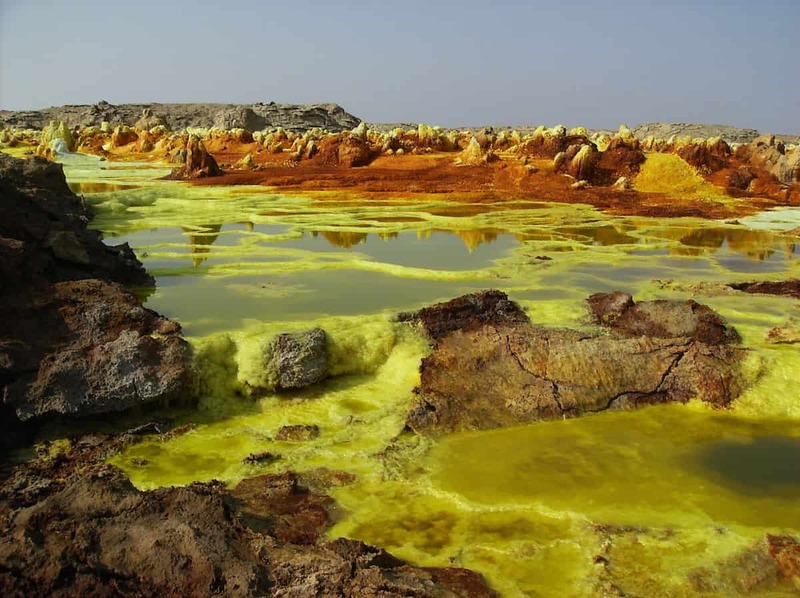 The Danakil Depression is one of the most inhospitable regions in the world. It’s in a remote corner of Ethiopia and will require a guide to get there. While most of this trip is in a 4×4, there are hiking sections, like the walk to Erta Ale Volcano. The summit caldera of this volcano is famous for its active lava lakes, some of the few permanent ones in the world. A night trek is the best way to see the lava boil and glow.